It really is true, a picture does say a thousand words, but now with infographics, images are being beautifully created that also include text. Nearly everything a guitarist could want is out there from gear chaining, to guitar construction to chords. 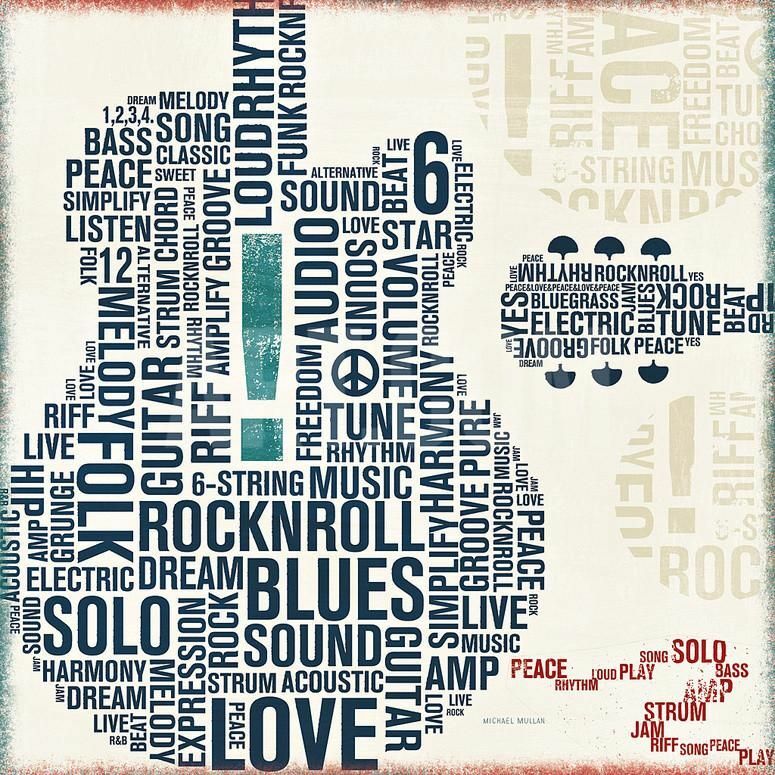 This article looks at the use of infographics in the world of guitar and music. Guitar Infographics what are they? Well, everyone likes a picture or image. Why? Well the fact is that we still can gather more information from imagery in a quicker fashion than we can from the written word. Infographics have become not only popular, but big business on the Internet. Artists and musicians from around the world are creating beautiful image artwork that covers a huge amount of guitar related information. This article looks at just a little of what is out there to whet your appetite. As the lead in suggests, images of “pictures” as they used to be called are all around us and nowhere more so than on the Internet. The fancy name for these images where information is combined with imagery is infographics. With the rise of Pinterest as a image centred social media platform, the availability and use of images not only for display but selling purposes has exploded. Also, these images are shared millions of times, so there is no better way to get the message out about your website, product or band than through infographics. If you want to get your hands on some easy to understand and quick to digest information on just about any subject, including guitar, then you want to check out the world of Infographics. GMI – Guitar & Music Institute will be using more of these graphics in our articles due to upgrades in our website technology. 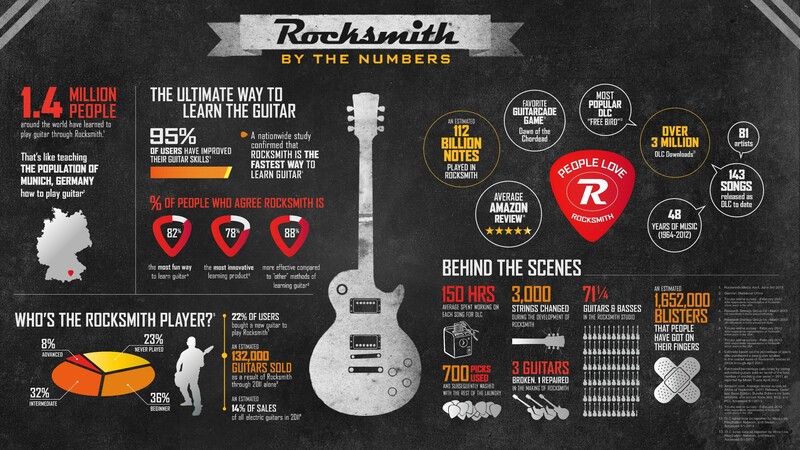 Here is a sample of just a few guitar Infographics to give you a flavour of what is to come. As you can see, an absolutely stunning image that gives bite sized and pertinent pieces of information in an easy to understand format. It’s not just about chords though. Infographics cover a wide range of topics. Here is an guitar infographic all about the pedals that famous guitar players use. Or perhaps you want to learn about home recording? Well, there’s an infographic for that! Finally, you may be curious about more esoteric matters like how is a guitar string made? Well, this infographic shows you exactly how the composition of a string is made up. Why Are The Guitar Infographics Always In Portrait? Well, the fact is they are not always in portrait, however, by creating a portrait image, artists can get much more real estate on social media sites such as Pinterest as the image goes much further down the page hence the abundance of portrait as opposed to landscape images. For more landscape images your best bet is to go onto Google and do a picture search of guitar infographics. You’ll find an excellent range and as always, many of the images are incredible works of art. If this article has got you thinking about creating your own infographics then there is a wide range of books and other resources available for you to consider. Here are just a few of many possible options to help you. Here is a video on how to create your own infographics. There is so much help out there so what are you waiting for! So there you go, we hope you enjoyed this article on guitar infographics, we will certainly be using more of them to adorn our posts in future. If you have any thoughts about this or any of our articles, please leave comments below as your input is always welcome.